Improve scalability, performance, reliability and manageability of your business servers with HPE Midline HPE Server Midline 2TB SFF Hard Drive. 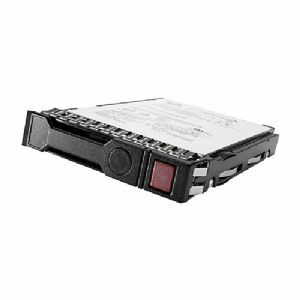 This 2.5� SFF hard drive comes with a rotational speed of 7200rpm for high-speed read/write operations. It is built for reliability and larger capacity needs for today�s non-mission critical server applications and storage environments. This high-capacity provides the lowest cost per GB and the best price advantage for non-mission critical applications with low workloads of 40% or less. All HPE hard drives pass a rigorous qualification process, which certify that every HP drive is proven to perform in your HP ProLiant server environments. Before final certification, all HPE Server Midline Hard Drives are optimized for compatibility and functionality, including support of SMART and HP systems insight manager. Buy HPE Server Midline 2TB SFF Hard Drive today!